I cannot take complete credit for this dressing. I asked for the recipe. But, I did tweek it, a lot. (I do not need several gallons of this dressing!). It’s not the exact recipe, it’s A LOT healthier than original, I used different Oil, and I used an entire Packet of Italian vs. a portion. Mix first 5 ingredients. Whisk in Oil. Cook Shrimp in Sesame Oil. Allow to cool. Mix all together. Refrigerate for 1 hour. Eat as is. In Lettuce Wraps or Spring Rolls (Boil Lettuce few seconds til soft, roll. Serve cold.). Optional: Add Miracle Whip/Wasabi to desired taste. Optional to season Shrimp while cooking (Salt, Pepper, Cajun). Add more sauce to make a pasta, adding noodles. Endless options. Top with Pickle slices, Lettuce/Spinach, Tomato (Optional). Boiled Egg Slices are optional, but, I skip. Healthy Idea: Try Raspberry Yogurt in place of Mayo, or to help cut Mayo! Needed a quicky salad with what was on hand. So, just threw this together. Great and REFRESHING for this Hot Summer’s Day! Add Watermelon, Lemon Juice, Salt, and Sweetner. Toss. Add in rest. Toss. Marinade Pork Chops for about 3-4 hours. Blend Dressing Ingredients. Set in fridge til use. We grilled our Pork Chops. Then, Removed bones and fat. Cut into desired strip sizes. Add all to Salad Bowl, to desired amounts. (*See Notes). Toss. Serve with Dressing and Croutons. *Notes: Chicken may work, too. Or meat of desire. I keep Eggs Separate, so it doesn’t spoil as fast. Marinade Chicken. (I did McCormick + White Vinegar Marinade, what I had on hand. In Above Photo.). Cut to desired sized strips. Preheat oven to about 425-450. Lay Chicken onto Butter Flavor Cooking Sprayed pan. Cook about 10-15minutes. Lay on Bacon (You can lay it right over Chicken, too). I seasoned Bacon with Cracked Pepper. Bake til Bacon and Chicken is done. Allow to set 1 minute. Crumble Bacon. Toss everything into a bowl, EXCEPT dressing. BLEND Dressing of Choice Ingredients. Allow to set while prepping and cooking. Serve each Salad with Dressing of Choice, Croutons, Seeds, and Eggs (If kept separate). Notes: Eggs can spoil quickly if left in salad for long period. You can add right before, or keep separate and add as you serve up a bowl. Drain Tuna. Stir in McCormick’s Montreal Steak Season. Allow to set some and Marinade while prep rest. Premix Sauce, set aside. Cut up Rest (To your desired taste). Toss in Bowl Serve up and drizzle a little Dressing and add a few Croutons. Enjoy! 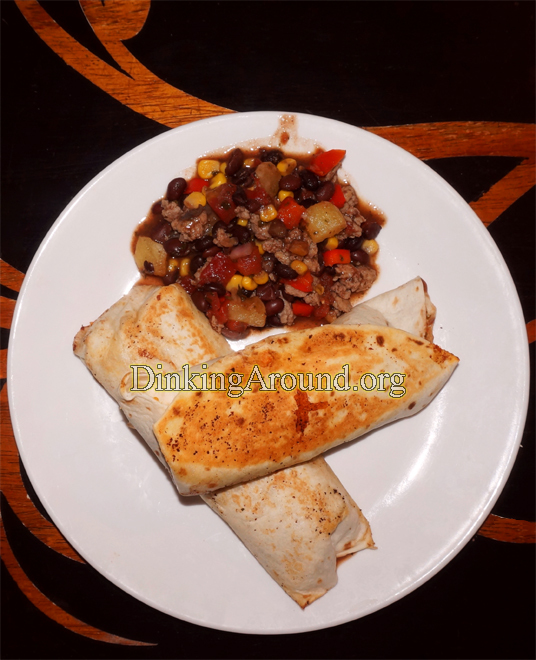 LOW CALORIES LOW CARBOHYDRATES – AMAZING Flavor! Cut all up to desired consistency. Premix Dressing. Allow to set about 10-20minutes. Drizzle over Salad. A LITTLE GOES A LONG WAY!!! Notes: Organic Maple Syrup (Grade B) has Many Benefits! As do Sprouts! Use them! – OR, try our Caesar Dressing, HERE! Boil Frozen Chicken Breasts with crushed Broth Cubes, Water, and Greek Seasoning. Toss All Salad Ingredients. Top with cut up/shredd. cooked Chicken. Toss with Dressing. Top with Croutons. *Salad Dressing is Optional, Ranch, or other Favorite, can be used. Mahalo! 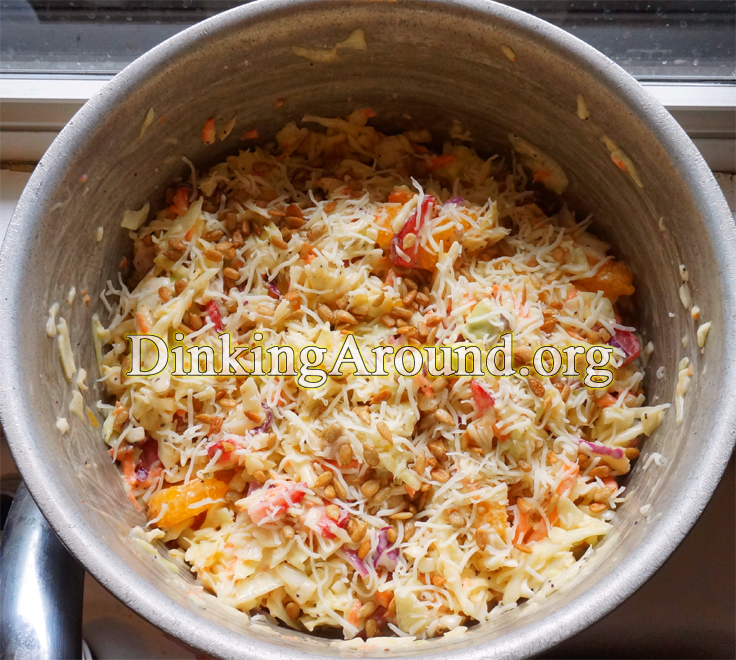 Hawaiian Pasta Salad – It’s Grindz! Marinade Chicken and Ham for about 5 hours. Heat skillet with Coconut Oil. Add in marinaded Chicken and Ham. Cook til done. Set aside. Allow to cool. Mix Sauce ingredients. Set in fridge, til use. Boil Noodles (Noodle tip: Add in a LIL Oil and a pinch of salt while boiling. Helps noodles sticking.). I drain and rinse in cold water. DRAIN WELL!!! Chop up Red Pepper, Green Pepper, and Onion. NOTES: I’m sure you can make a “Half the Flavor” pasta with skipping marinade… But, it’s SO TASTY with! And Cheap! Healthier Option: Try Yogurt or Sour Cream in place of Mayo. 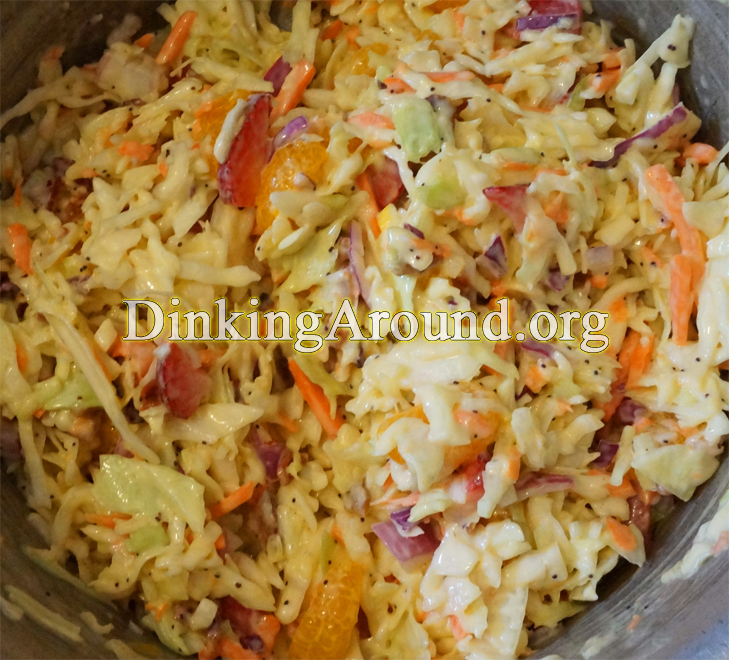 Try over Coleslaw instead of noodles. 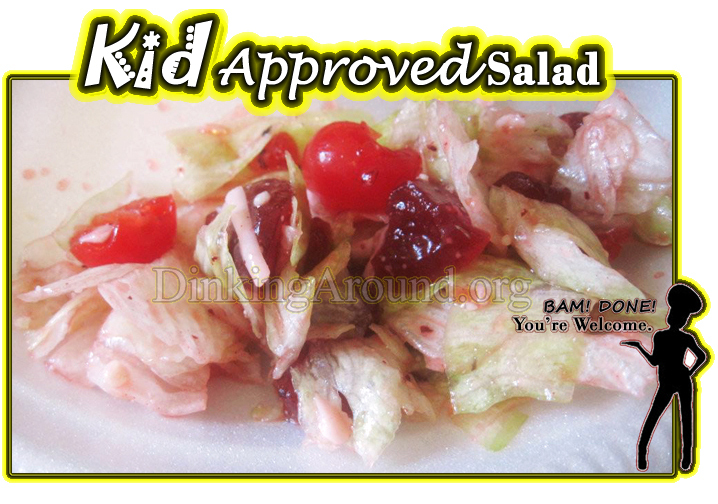 Poppy Seed Salad Dish- Top over Bow Tie Noodles (For Pasta), or Coleslaw (Slawad), or Chicken (For Sandwiches/Wraps)! MAKE THIS using Coleslaw (As we did- Lower Carbs./Cals.). 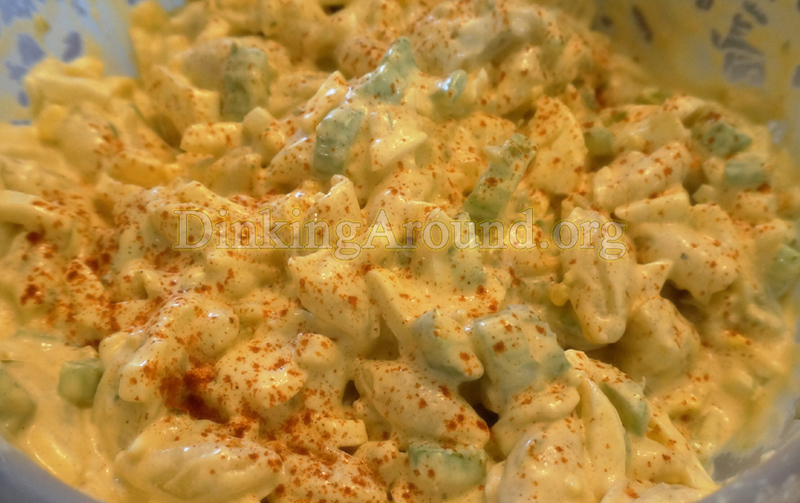 Or SKIP Coleslaw and: Try over Bow Tie Noodles. 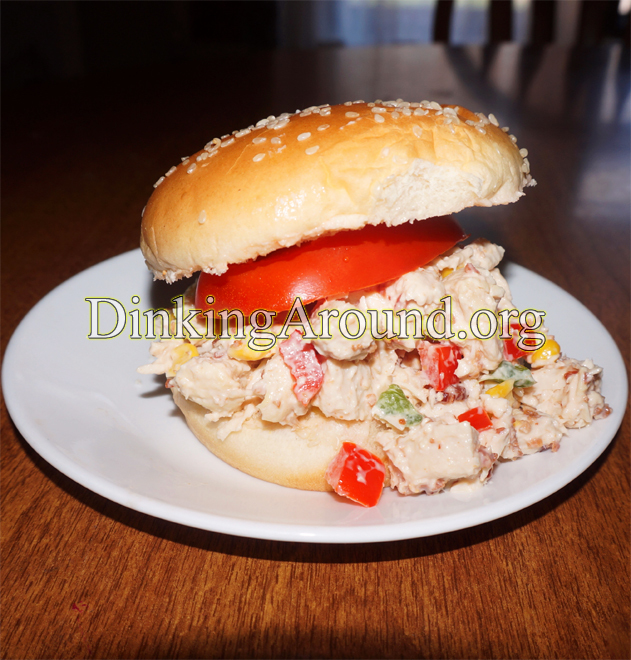 Or make into a Chicken Salad (Skipping Coleslaw and Adding Chicken Chunks- Top onto buns/wraps). Or Lettuce for salads. MANY IDEAS!!! I bake Bacon on foil, in the oven at 450 for about 12-15min. (No need to preheat). Once cooled, crumble. Toss all, EXCEPT, last 2. Then Top with Cheese and Sunflower Seeds. Serve. *Notes: I sometimes drizzle 1/4tsp Bacon Grease into salad, especially if I’m using the lower count of bacon pieces (3). Premix sauce. Place aside til use. OPTIONAL: I marinaded chicken with Brush of White Vinegar and a sprinkle of McCormick’s Montreal Steak Seasoning. 1.) Grill Chicken (Best on Charcoal- See tip below). Near end, brush well with sauce (Save 2T for preserving brush-on). Flip, brush other side. Allowing each side to cook few minutes. Brush rest on RIGHT BEFORE serving. 2.) Add chicken to foil. Pour over sauce. Bake at 450 til done. 3.) Brush legs with sauce 30minutes prior to cooking (Great time to heat grill), SAVING 2T sauce for prior-serving brushing. Grill. CHARCOAL’S BEST! (Check out grill tip below)- Careful cooking- This method, the sauce gets a slight char. Notes: Healthify this using 1/3c Fresh, crushed Raspberry. MAKE THIS using Coleslaw (As we did). Or SKIP Coleslaw and: Try over Bow Tie Noodles (For Pasta). Or make into a Chicken Salad (Skipping Coleslaw and Adding Chicken Chunks- Top onto buns/wraps). Or Lettuce (For salads). MANY IDEAS!!! I bake Bacon on foil, in the oven at 450 for about 12-15min. (No need to preheat). Once cooled, crumble. Toss all, EXCEPT, last 2 ingredients. Then, top with Shredd. Cheese and Sunflower Seeds. Serve. With the LOADS of Strawberries grown in the garden… We’ve been finding ways to use them, outside our pies, shortcakes, rolls, etc. Salad it is! We used WISHBONE Ranch. Your Preference. TRY Tay’s DEVINE Balsamic Dressing or Poppyseed Dressing. With coming into some Potatoes, we’ve been on a Tater kick! 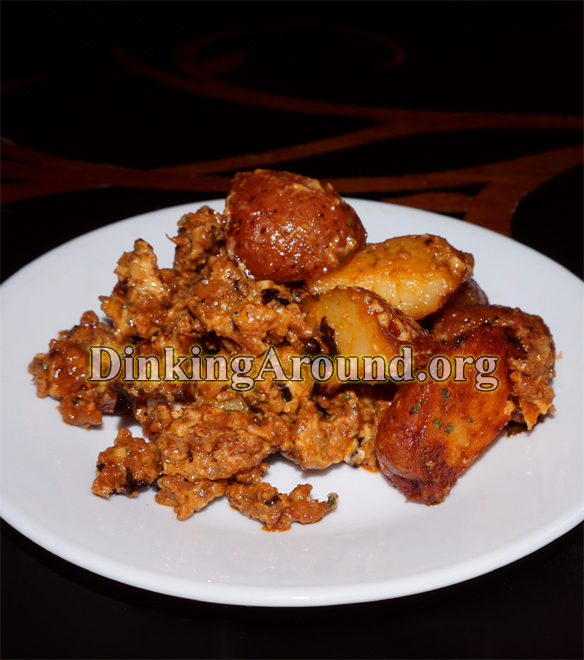 Have a back load of Tater Recipes, I never got the chance to schedule for posting. Mix Potato ingredients. Bake, uncovered, 450 for 45minutes. Give nice mix, bake 10-15 more minutes, if needed. Bake Potatoes. Cook Chorizo. Add Potatoes and Chorizo together. Mix sauce in RIGHT BEFORE SERVING! Enjoy. Boil in water with few CRUSHED chicken broth cubes. Remove chicken, shred. In bowl mix Sauce ingredients. Mix in rest. Serve each sandwich with GOOD Sprinkle of Grated Parmesan and Romano Cheese (Store shelf kind), top with Roma Tomato Slice, and (Kid’s preference-Optional) swipe bun with a little Miracle Whip. If premaking earlier than eating, add mayo, miracle whip, lemon RIGHT BEFORE serving. Or chicken will soak it up. Or just do as I do for kiddos, swipe bun with little Miracle Whip. We used 2 chicken breasts from 3lb Frozen bag of chicken. Made 2-3 sandwiches. Cook sausage. Add all to crock. Cook on low 4-5hours. Serve on shells with choice toppings (Sour cream, cheese, salsa, rice (Cooked in chicken broth), etc. Roll. Fry in skillet coated with Butter Flavor Cooking Spray. Or eat with chips, sour cream, cheese, and salsa. *I was going to use turkey meat. But, only had the sausage. I premade sauce morning of use. Keep in fridge. About 1.5 hour prior to eating, cook noodles. Rinse noodles in cold water, drain well. Mix together sauce with tuna (Drained). EYEBALL adding noodles into sauce, to consistency desired. Toss rest of noodles. I always have it a little saucy, as it’ll sit an hour and absorb some. Top with rest of cheese. Place into fridge. *NOTES: I didn’t have pickle juice from the jar, what we usually use, so improvised with vinegar and dill. 1/2 tsp Dill Weed and 2 tsp White Vinegar. Works very well in a pinch. Just allow the sauce to sit and marinade at least a few hours, prior to adding it to noodles. Add legs to plastic bag, add in seasoning, allow to thaw- Mixing around. Grill legs. Close to being done, smoother with BBQ sauce, flip and repeat on other side. Allow each side to thicken. Serve. Mix the dressing ingredients well. Top a over salad. Toss till all’s coated nicely. I use ALL above except I may pick only a few of the fruit sometimes, whatever’s on hand. Also Peas over pea pods, most times. They LOVE the dressing! *Notes: You can mince up spinach to get them to eat it. Usually big chunks steer kids away. Mincing sneaks nutrition in. 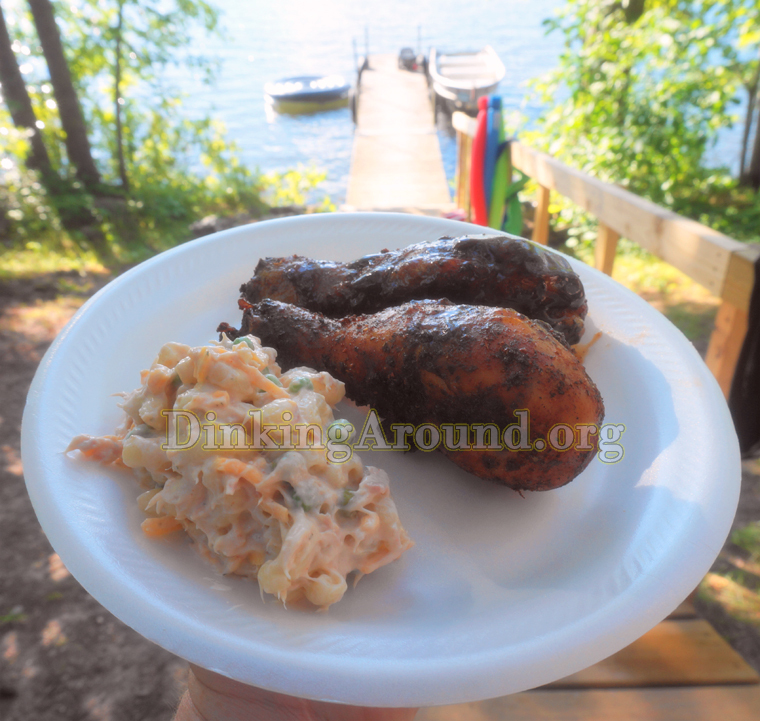 tTt’s EASY Chicken N Bacon – Great for BLT Salads! Marinade Chicken. Cut to desired sized strips. Preheat oven to about 425-450. Lay Chicken onto Butter Flavor Cooking Sprayed pan. Cook about 15minutes. Lay on Bacon (You can lay it right over Chicken, too). Bake til Bacon and Chicken is done. Allow to set 1 minute. Eat as is. Top onto Buns/Wraps for BLTs. Dressing: Avocado Oil+Balsamic Vinegar, Ranch, etc. Toss all into Salad Bowl. Top with Dressing of Choice. Optional: SPLASH EACH bowl served with HOT SAUCE. Sprinkle each bowl with minced sliced tamed Jalapeno Slices. Mix season, sugar, vinegar, mayo, relish, onions, and celery. Set in fridge. Boil noodles (Boil: Bring water with 1/8tsp sea salt and .5T Extra Virgin Olive Oil. Add noodles, cook 10-13minutes). Drain. Add all together. Top with shredded cheese. Sprinkle top with a LITTLE paprika. Tip: When boiling noodles, add EVOO to water. Helps with noodles sticking. And… Depending on how saucy you want this… Try 4.5 to 5 cups noodles. But, note that the longer it sits the more the noodles eat up the flavor.